Summary:The church of the Holy Cross is small but well proportioned, consisting only of a pronaos, a naos and a chancel. It’s plan is triconch, that is with three apses, with a tower above the naos. The church seen from the southwest. 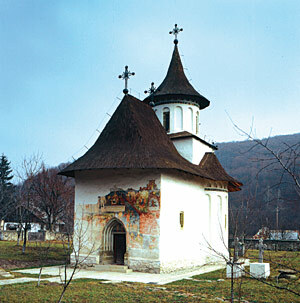 The church of the Holy Cross of Pătrăuţi is situated not far from the town of Suceava, on the right side of the road leading northwest towards Radauti, in the valley of Suceava River. Once hidden deep in the woods, Pătrăuţi village was chosen as the location for the single convent of nuns founded by Stephen the Great. The church was built in 1487, as written in the commemorative inscription above the entrance. Together with the church of Milişăuţi, the church of Pătrăuţi marked the beginning of the long and legendary constructing campaign of the reputed Moldavian prince. Stephen endowed the convent with everything necessary, but it could not withstand the vicissitudes of the centuries, and was at some point abandoned. 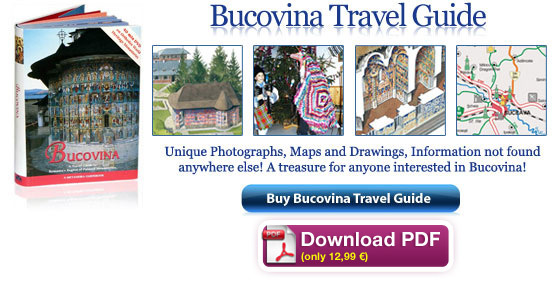 In 1711, the Bishop of Rădăuţi re-founded the monastery, but in 1775 Bucovina became part the Habsburg Empire, and soon after the church became a parish church. The frescoes inside the church were painted in part soon after construction work finished, in part about ten years later, during the last decade of the 15th century. They are not restored and very dark and covered with dirt and candle soot, but what is visible is dominated by golden light. The frescoes are the work of a fine artist and many of the saintly faces seem actual portraits. It is believed that, either the artist came from Byzantium, which had been conquered by the Turks only a few decades earlier, or he had been trained in the Byzantine way of painting. 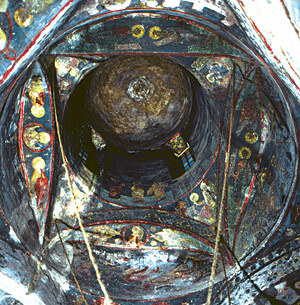 This monastery is in the process of being restored and is a wonderful small gem in the crown of Bucovina monasteries. It is well worth a visit as its small size makes it very easy to look at. This is so fascinating. All the monasteries have interesting architecture and history. 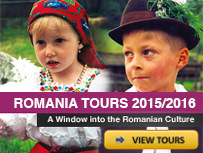 If I ever have the chance to visit Romania, I want to put the monasteries on my agenda.